​Francine Fox is a nationally and internationally exhibiting studio artist whose work is represented by Kenise Barnes Fine Art in Larchmont, New York. Fox received her undergraduate degree from Kutztown University of Pennsylvania and her masters degree from the University of Delaware. 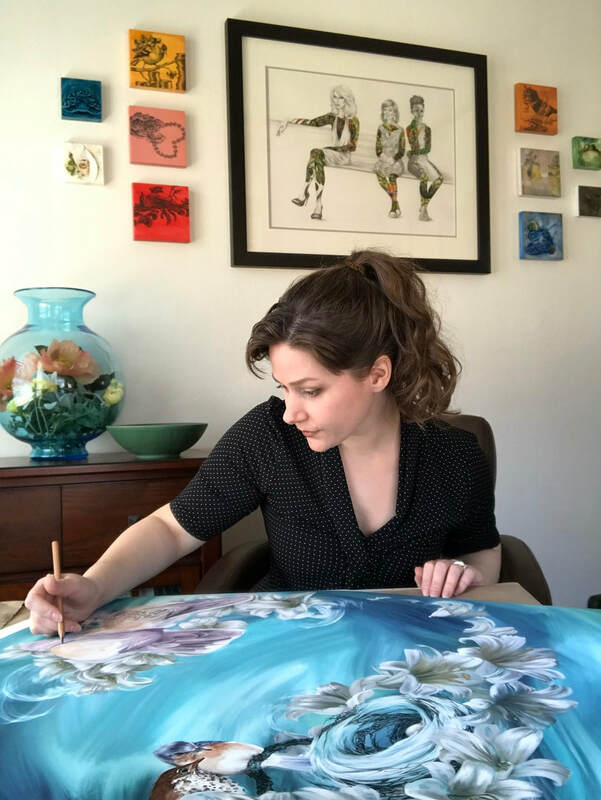 Originally from Pennsylvania, she has lived and taught in Pennsylvania, Delaware, Colorado, Wyoming, Missouri and now Nebraska, where she is the Assistant Professor of Art in Painting at Wayne State College. ​For inquiries about purchasing work or requesting commissions, please use the Contact page of this site or reach out to the professional staff at Kenise Barnes Fine Art - http://www.kbfa.com/. I strive to produce work that is at once both striking and unsettling, and intend the compilation of my formal and conceptual elements to parallel and reveal the intricacies of gray areas between seemingly dissonant traits. The gray areas I depict most frequently can be classified as the shared liminal compartments in Venn Diagrams, the middle sections along continuums or circumstances when the correct answer is both yes and no. While it is easier to think and understand in terms of binaries, these types of thought processes tend to oversimplify. The murky places in between are often harder to comprehend, and yet they are also more relatable and interesting because of their complex, confusing, and sometimes unresolved nature. My goal is not to clarify gray areas; rather, I hope to lure viewers into contemplation of the causes of the wonder and discomfort surrounding liminals. My work frequently returns to the gray areas between the themes of physical and metaphysical, evidence and faith, chaos and order, and identity philosophies rooted in either individualism or collectivism. 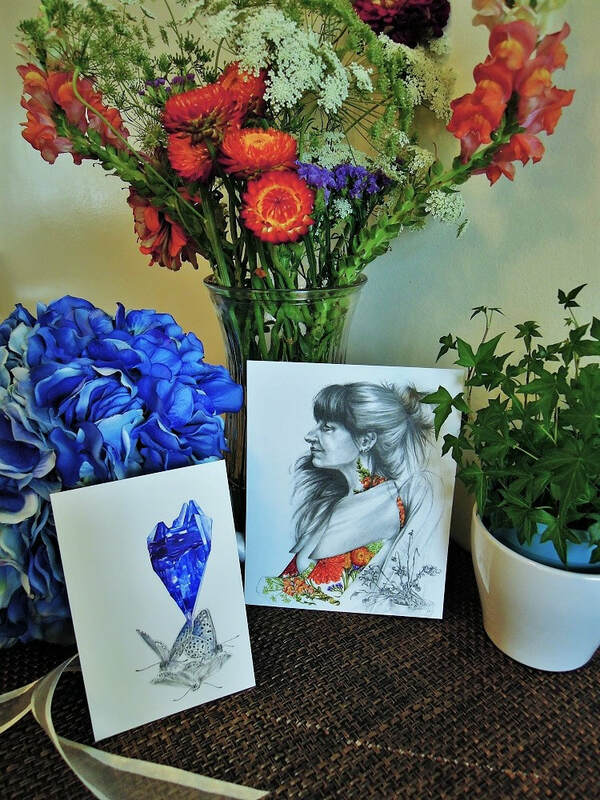 My paintings and drawings create records of the perceived significance and beauty of these transitional spaces through the mediums of graphite, charcoal, watercolor, gouache and oil. Within my body of work, the imagery includes figures, gently anthropomorphized animals, traditional and contemporary semiotics, and depictions of invisible forces through modified and invented charting symbols. My influences range from Walton Ford, Martin Wittfooth, Ian Ingram, Steven Assael and Giacomo Brunelli to modern research and journalism concerning zoology, theology, and behavioral and social sciences. Kenise Barnes Fine Art. Kenise Barnes Fine Art Idea Book. Dec. 14, 2018: 58. The Fine Art Program and Collection at Montefiore Einstein Website. Projects: Stern Stroke Center. “WyoCity Public Art Traffic Signal Cabinet Wraps.” City of Casper Website. May 2016.